Janus Films presents a special Wim Wenders retrospective​​​ highlighting a curated selection of his newly restored classics​, in collaboration with the IFC Center starting Aug. 28th, 2015​. The series will take place throughout the month with Wenders ​​in-person on select dates during the first week, ​alongside special guests (to be announced). The retrospective will additionally go on to tour the U.S. following it’s September run in New York. 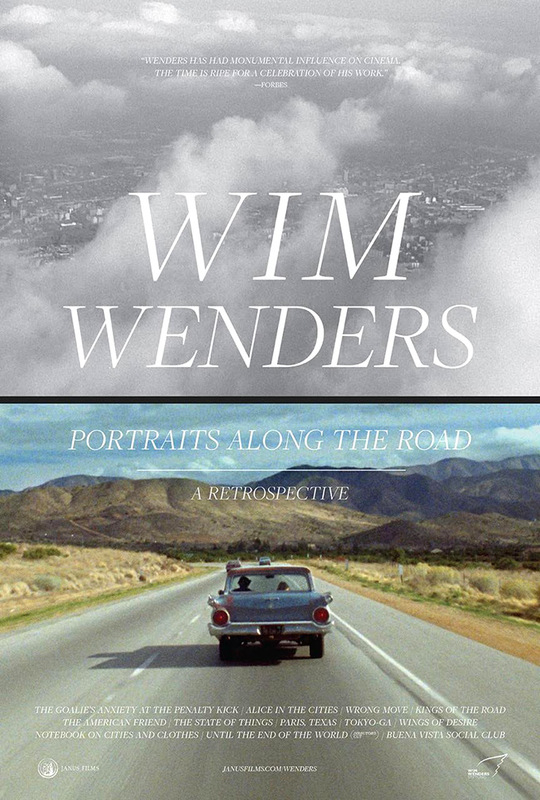 Overview: Wim Wenders is cinema’s preeminent poet of the open road, soulfully following the lives of people as they search for themselves. During his more than forty-year career, Wenders has directed films in his native Germany and across the globe, and has made dramas both intense and whimsical, mysteries, fantasies, and documentaries. With this retrospective of his films—spanning his early works of the New German Cinema (Kings of the Road, Alice in the Cities) to the art-house blockbusters of the ’80s that made him a household name (Paris, Texas; Wings of Desire) to his inquisitive looks at foreign cultures (Tokyo-ga, Buena Vista Social Club)—rediscover the vast cinematic world of Wim Wenders. Films: New DCP restorations of Wender​s’​ films include The Goalies Anxiety at the Penalty Kick (1974), Alice in the Cities (1974), Kings of the Road (1976), The American Friend (1977), The State of Things (1982), Paris, Texas (1984), Tokyo-Ga (1985), Wings of Desire (1987), Notebooks on Cities and Clothes (1989), Until the End of the World (*Directors Cut, 1991), Buena Vista Social Club (1999). Additional non-DCP titles include Wrong Move (1975), Lightning Over Water (1980), Room 666 (1982), A Trick of the Light (1996).